Backflow Testing | Sprinkler Systems, Inc.
Did you know that water districts mandate that all backflow preventers be tested on both domestic and fire protection water services? Backflow preventers protect drinking water from contamination and need to be tested to verify that they are functioning correctly. 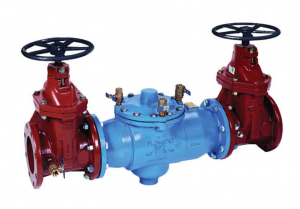 Does Sprinkler Systems Inspection Corp. have experience with testing backflow preventers? Yes! We have a staff that is fully certified for the inspection, testing, maintenance and repair of fire protection and domestic backflow prevention devices. We offer this service at an affordable and highly competitive rate. Call us today for a free estimate. What should I do with my backflow preventor inspection results? Let us do the work for you. We’ll submit all test results to the appropriate water district, and will notify you as we submit them.